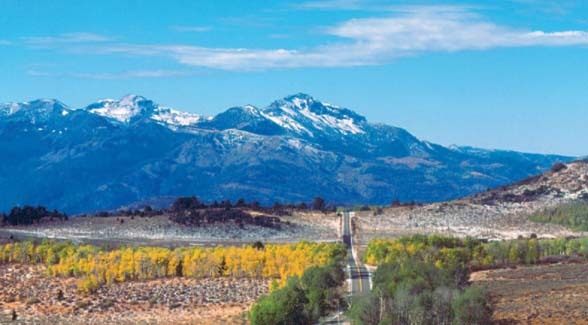 Named after the silver mining town of Monitor, silver was discovered in the district as early as 1857, but it wasn’t until rich strikes were made in the early 1860s that the community was established. By 1864 150 buildings had been completed in the town, which was noted as the “centre of one of the richest mining districts on the eastern slope of the Sierra Nevada.” At the height of the boom the town boasted two newspapers, a telegraph line, post office, Wells-Fargo station, six saloons, a brewery, hotels, boarding houses, restaurants, stores and supply centers, and 69 mining claims. The mining legacy in the region is not entirely romantic. In recent years, settling ponds needed to be established along Monitor Creek to contain the heavy metals leaching from the old mines on Colorado Hill. Extracting minerals have been introduced to settle the metals, which will be removed about every decade to keep them from leaching into Monitor Creek and the East Fork Carson River. The Levithan Mine is now a 250-acre Region 9 Superfund Site, due to the arsenic and heavy metals leaching from the operation. The first roads into the region were established in the 1860s as toll roads. The Monitor Toll Road and the Road to Mogul were depicted on early maps of the area, where camels were pulled by rope into Slinkard Canyon on their route into the Great Basin in 1864. The Bactrian camels were employed in transporting salt from the Lahonton Basin district to the mills of Virginia City. 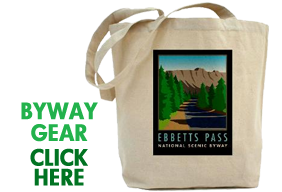 The segment of road from the Alpine/Mono County line to the junction of Route 89 and Route 4 is named the “Robert M. Jackson Memorial Highway,” in memory of Jackson, who worked for the Alpine County Public Works Department for over 30 years. 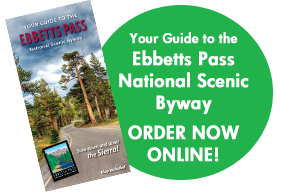 This 18-mile span traverses both Alpine and Mono counties, and is a mountainous road reaching elevations in excess of 8,500 feet. Beyond Heenan Lake and below Leviathan Peak, a spectacular stretch of aspen groves provides brilliant color in the fall months.